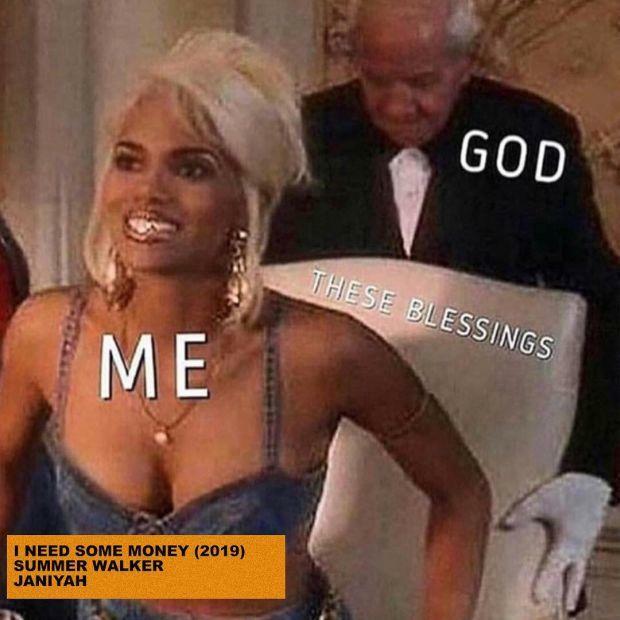 Home>New Songs>Summer Walker Songs> Summer Walker Taps Janiyah For "I Need Sum Money"
Summer Walker is currently one of the most promising new voices in R&B. Although Drake's remix to "Girls Need Love" helped catapult the song onto Billboard charts, she already had a buzz going for herself prior. Last Day Of Summer was an incredibly strong effort that put her strengths on display. Now, she returns with some new music, although it's definitely not in the direction you'd expect from her. Teaming up with Janiyah, Summer Walker dabbles into the Soundcloud rap sound with her latest track, "I Need Sum Money." The singer previewed the singer a few days ago and clearly, her fans were in dire need of the official version. Summer Walker and her friend Janiyah come through with a noisy and grim banger that we definitely wouldn't have expected from the crooner. Peep her new single below. Da$h Links With Huey Briss For New Song "Bad Humor"
SONGS Summer Walker Taps Janiyah For "I Need Sum Money"